In partnership with experts in water management, we use our technologies to explore for untapped water resources, focusing on high-value agricultural regions that are water scarce. Our suite of exploration, survey and data processing technologies is used to perform and interpret electromagnetic and DC resistivity surveys at depths greater than that possible with conventional exploration technologies to potentially identify and model water resources in areas with challenging surface conditions. The powerful Typhoon survey tool is combined with our expert survey design and leading-edge data inversion methods to ensure that the predicted physical property models have the highest accuracy possible. Discovered water assets would then be put to their highest and best use in agriculture, renewable energy and water infrastructure. Using our powerful Typhoon system or other electromagnetic survey systems, we map the subsurface and record valuable data. Typhoon 3D DC-resistivity acquisition system can gather data under difficult cover that is opaque to conventional geophysical systems. 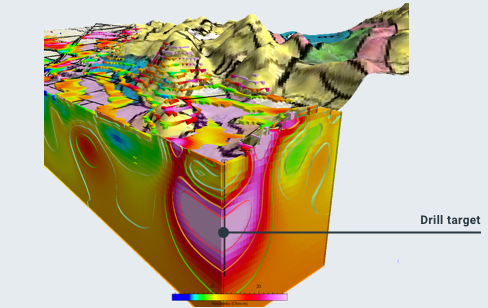 Our CGI proprietary software converts the raw data into 3D models of subsurface geology and target maps. CGI's inversion software can map groundwater types. 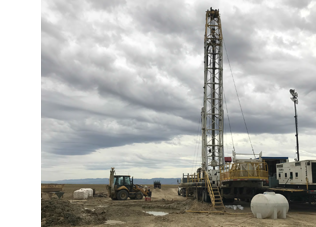 Drill tests on highest priority targets reveal presence of water. Flow rates and properties can be measured to determine scale of discovery. Determining water properties enables us to allocate use toward the most appropriate crops. Graphics are for illustration purposes only.